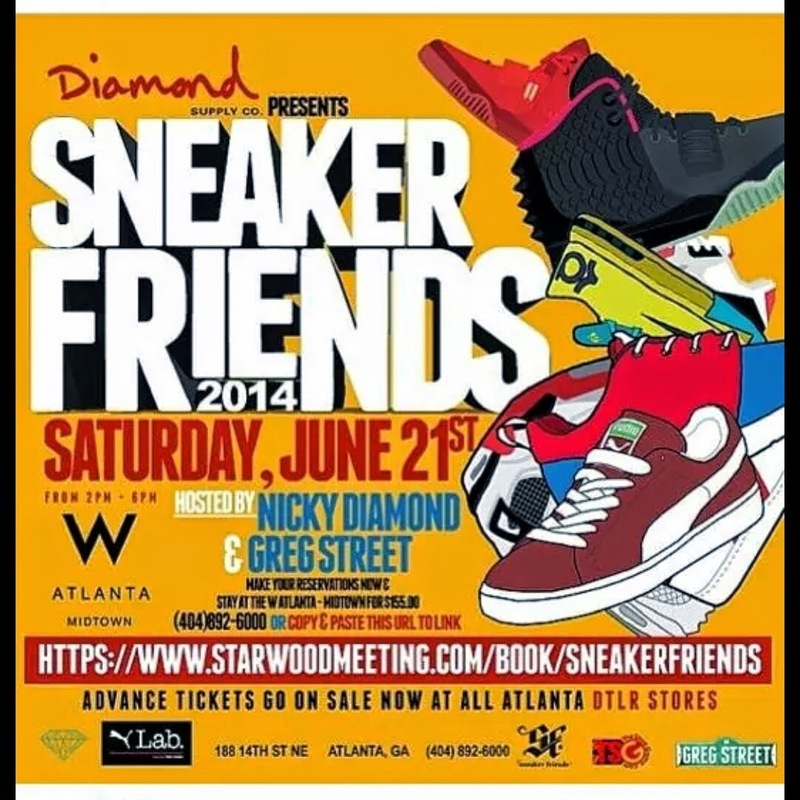 First I want to say that this post is not sponsored but does have affiliate links. 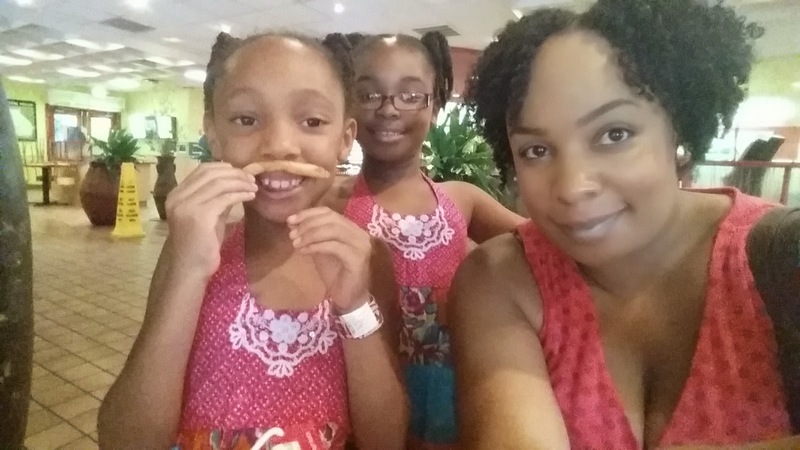 This past weekend, my girls and I had a fabulous time hanging out with each other. Our weekend was suppose to be a relaxing one but how can we sit down and relax when it is the starting of summer! I was invited as media to attend a Puma shoe event on Saturday to do live twitting of the event, but my daughters didn't want to go look at shoes. I actually second that thought since this event is filled with men and I don't feel comfortable being there with my daughters. Plus, I hardly wear tennis shoes anyway and this doesn't fit my niche. We were also invited to attend the early morning screening of Earth to Echo but my daughters were too tired to get up and ready. So what were we to do with ourselves for the first day of summer? A light bulb went on in my head and I asked the girls, "how about we go to the zoo?" You know they were excited to go there and without hesitation they said, "YES!" I went around my apartment looking for our monthly community coupon book we get in the mail that has discount coupons in it that also includes coupons to Zoo Atlanta. I couldn't find it but that didn't stop us from going. Saturday was hot and humid! I kept thinking to myself we're going to be sweating like hogs out there walking in the zoo, plus the smell of hot animals is going to be horrendous! We got to the zoo and the heat wasn't too bad due to the trees throughout the zoo giving us shade. The zoo animals actually didn't smell bad either because the zoo keepers did quite well with the upkeep. The girl's dresses were show stoppers while at the zoo, everyone was telling them how pretty they looked and wondering where I got the sundresses from. These dresses are from The Children's Place summer collection of last year. Thank goodness the girls haven't outgrown them yet since they've been growing like weeds! We found out that the zoo that day had a Asian type theme going on. Come to find out it was Asian Heritage Day there. Throughout the zoo, there were sections where kids would get a stamp on their to-do paper they received at the entrance of the zoo to visit animals that came from Asia, after they received all their stamps they get a prize. There were also Asian dancers performances going on too. We arrived at the zoo at 2:30pm and was told we had until 3:30pm to visit all the Asian sections at the zoo with our to-do list filled out to get a prize, but unfortunately we didn't have it done in time and missed out on the prizes- good thing the girls were not upset by this. While walking around the zoo looking at all the zoo animals, a storm came rolling in. We didn't let rain ruin our time, we found shelter in the gorilla exhibit while the storm passed. The storm must have scared the visitors because once the rain was over and we went walking around again we notice hardly no one was left at the zoo. This was great because we pretty much had the zoo to ourselves. We got to see everything, unlike other times we've been to the zoo. We stayed at the zoo until the security guard told us the park was closed. So we were at the zoo from 2:30pm to 6:30pm. 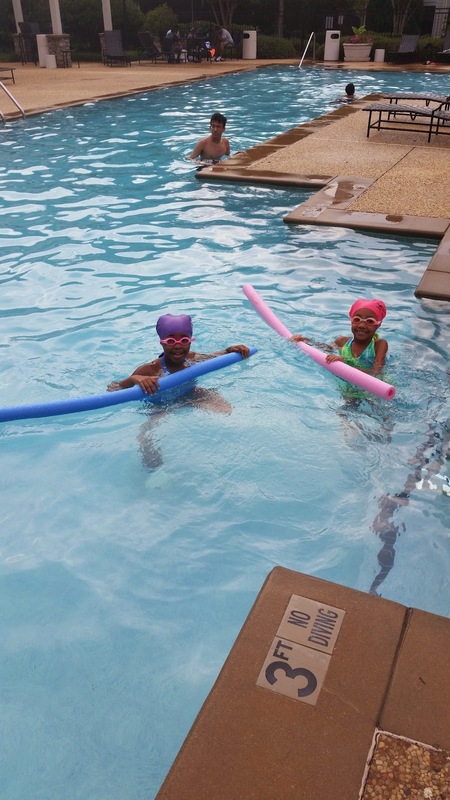 My feet were hurting with all the walking and I was exhausted but my girls insisted on swimming at our community pool when we got home. What a great, eventful time we had on Saturday! The girls wanted to go out on Sunday but my body was not up to it, I needed the rest. I want to make this summer epic and keep my girls busy. I'm planning to do a lot of fun things with them like heading back to Six Flags to visit their new water park since they have free passes, visit museums, and plus our road trip coming up. They'll have a lot to talk about when school is back in session. 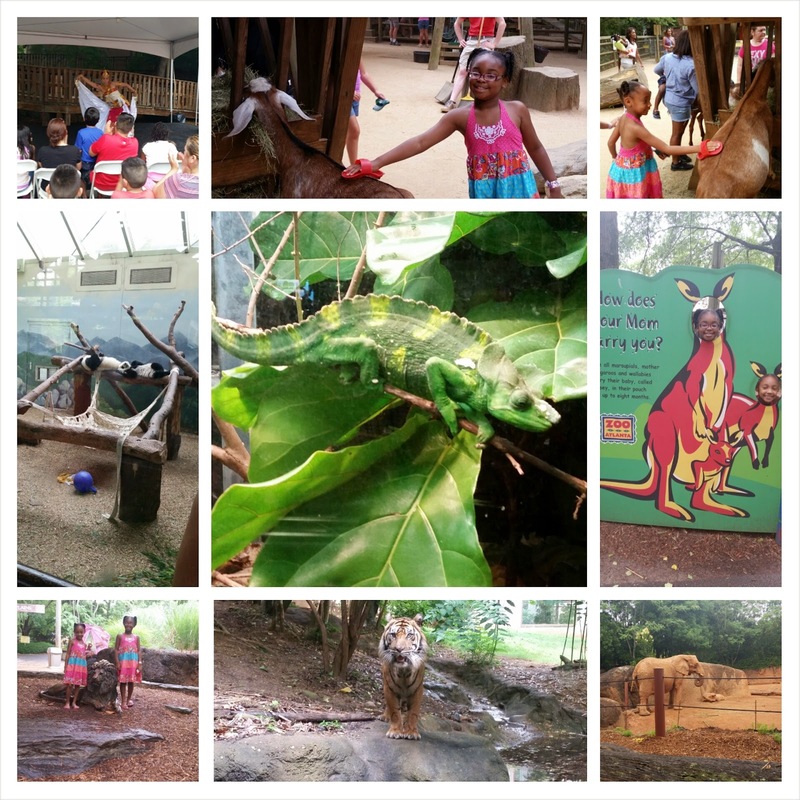 Interested in visiting Zoo Atlanta? For more special offers, click here. Did you like the photos? These were taken with my new Samsung Galaxy S5 phone. I had the S4 but the photo quality wasn't that great and I had to use the Snapseed app to make the photos bolder. Plus the S4 kept crashing and giving me the black screen so I went through 3 refurbished S4 phones before I finally decided to make a upgrade. I've had the Samsung Galaxy S5 phone for a week now and I love it! The photos comes out like it was taken from an actual camera (phone has a 16- megapixel camera). I've been in the market for a new camera for this blog but I may hold off a little while longer because this phone takes some great photos. If you're in the market for a new phone I highly recommend the Samsung Galaxy S5. What are your plans with your kids this summer? Disclosure- This post contains Amazon affiliate links meaning I will earn a small commission if you click the link and make a purchase. Love the girls matching dresses!! 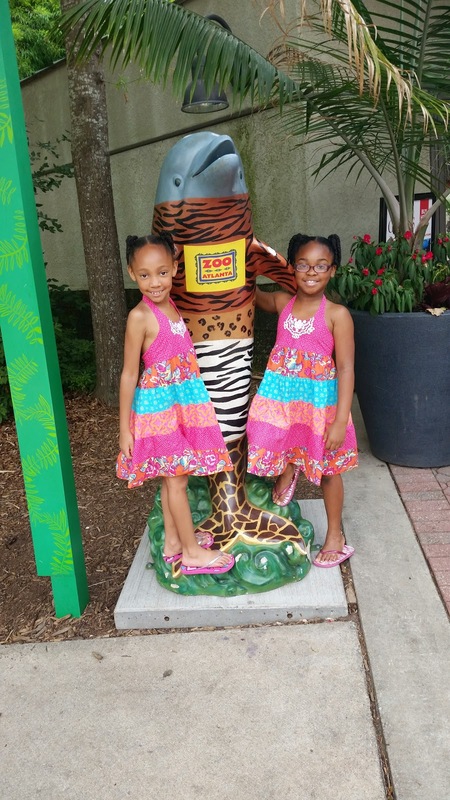 Sounds like you ladies had a amazing time at the zoo! Thanks Robin! They sure did have a great time! I grew up in Atlanta and LOVE the zoo! I remember Willie B and his relatively small cage where he loved to watch TV. Then they built a big beautiful gorilla enclosure...so much better. Thanks for sharing! The gorilla exhibit is named after him. They have a video inside the exhibit talking about Willie B and when he passed away. We love zoos! 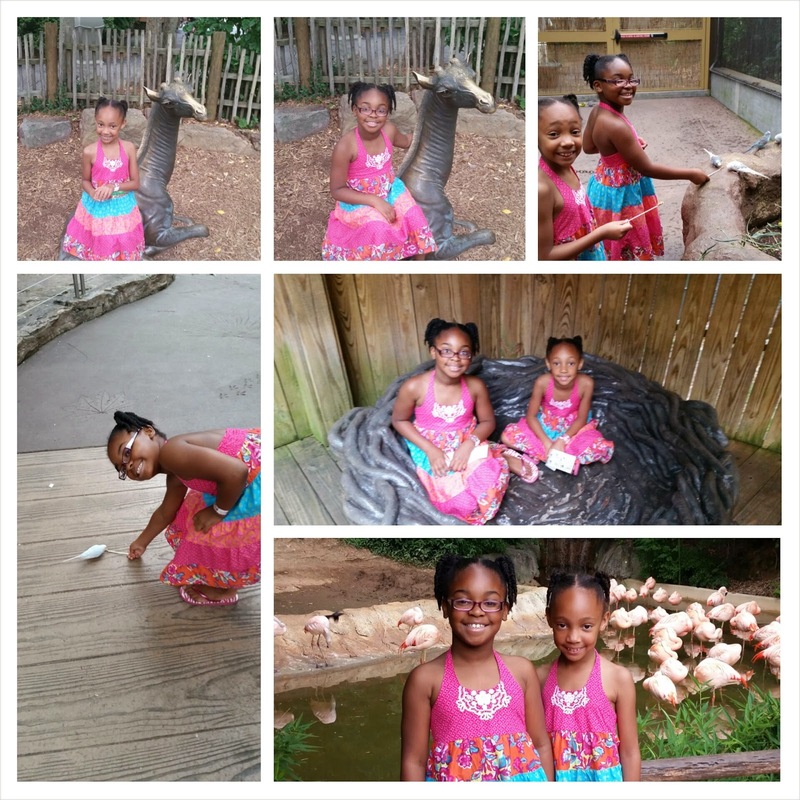 Looks like Atlanta has a great zoo and your girls are adorable! Your daughters are just lovely! Thanks Kero! The Fall is the best time to go to the zoo, not too hot and not too cold. I knew those were from Children's Place.. Very popular store in my home since I have 3 girls!!! Love how all of y'all match. I love a good zoo... Sadly, I don't think SA zoo is that good compared to most of where I have been. Yep The Children's Place has the best clothes and they last very long after a million washes! Plus, using their coupons and rewards points I get some great prices on their clothes. Looks like I won't waste my time going to SA zoo. We love going to the zoo. We have a family membership, so we can go quite often! It would be fun to visit zoos in other cities, though! That is what I would like to do is visit zoos in other cities. Aww you're so kind Courtney! Thank you so much girl! LMAO @ you looking like the animals at the zoo! Girl don't get me started how I looked when I was pregnant with my girls! I looked a hot a** mess and weighed a ton! I was looking like Shamu the Whale!!!!!!!!!! Great pics. We had a family pass a few years ago and really miss it. I think we'll be getting another one soon! You should, zoos are fun! Zoos are so much fun.. you can go by the same exhibit 10 times and not see the same things..
Yep that is very true! I love using my phone because I don't have to email myself pictures to add to social media, too many steps with a camera. 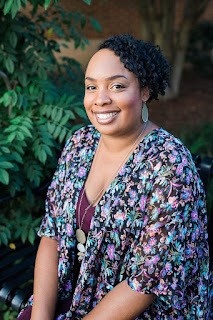 Also, Google automatically back up my photos for free so it is easier for me to add my photos on my blog. We're planning a low key summer. We'll definitely be hitting up our local zoo. Great Anna! Going to your local zoo is a great choice! Love love love the image of the tiger. I always visit zoos when I go somewhere new. I meant to check out the Atlanta Zoo when I visited, but we had a lot of distractions, so that's for another time. This summer, I plan on going to the apple farm with my nephew. The tiger was so close that if the glass wasn't between us we could reach out and touch him. He stood there and looked us straight in the eyes- it was the prefect shot to take a picture. I would love to go to any farm that involves fruit picking, that would be so much fun! Have fun with your nephew Yona! Thanks Elayna! 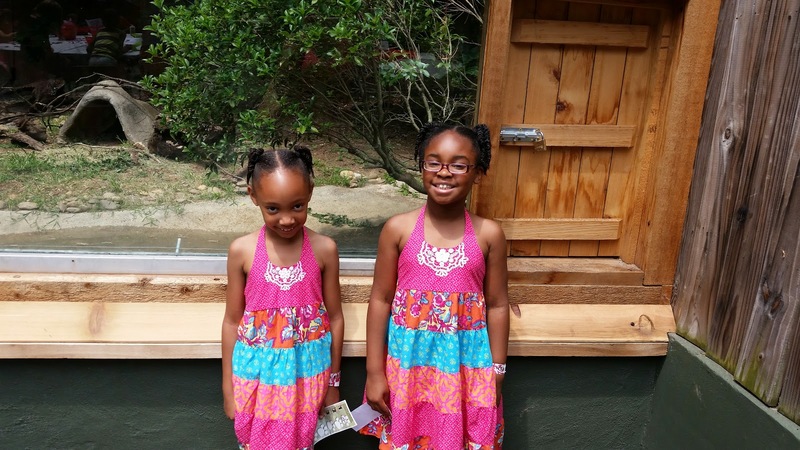 I started to stop dressing my girls alike since my oldest daughter doesn't like it anymore. She wants her own identity so this year I started buying different styles of clothes for them both. I had them dressed as twins that day because the dresses were collecting dust in their closet and I wanted them to wear it before they out grow it. Your girls are so cute and I love their dresses. You got some really great pictures. I can't wait to my little guy gets back home so we can go to the zoo before school starts back. Thanks Danielle! I remember you were saying your little guy will be out of town this summer. You two got a lot of fun things you need to do before school starts. You can never go wrong with going to the Zoo, it's always fun to take a look at all the animals. What an amazing day! I love when things change and you get to be different than planned. Those days turn out to be the best! I know right Mary! Change of plans turned out to be a great day! I love going to the zoo almost as much as my children do, its always so much fun! I love going to the zoo as well Teresa!